Holdontoyahorses is a full sister to Fill The Page, a Canberra Cup winner ($230,000 prizemoney) and Patch Adams, a Dual Group placed, 3 time winner ($215,000 prizemoney). This filly comes from an outstanding pedigree as her grand-dam, Dorothy Dinosaur has produced 5 foals and are all winners. 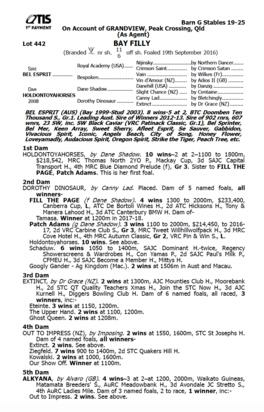 As for this filly's sire, Bel Esprit, then I'm sure you all know the success we have had racing his progeny. Royal Request, Bel Sir, Belle Ez and Pot Black are all multiple winners for the stable proving we have a knack of getting the best out of his progeny. 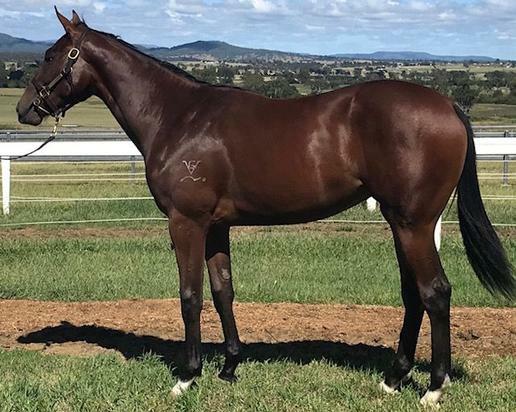 This filly is currently being broken in and will arrive at Neil's Kyneton property in the coming weeks. If you would like to get involved or need any further details please ring Neil on 0417 594 737.